The International Organization for Standardization (ISO) has technical standards for graphical symbols conveying safety information on hazard and warning signs. Outlined in ISO 7010, these standards convey information about prohibited or mandated activities, warn of hazards, and indicate safe conditions using colours and principles set out in ISO 3864. Hazard and warning signs inform people around the world of safety risks in their environment in a universal manner that overcomes linguistic and cultural barriers. While readiness to consume AI seems to be ubiquitous; there is no accompanying universal semiotic framework for informing users of the potential threats and hazards posed to them by the presence of AI in their digital and physical environment. We propose a framework for signs that warn of the presence of an artificial intelligence (AI) or automated decision- making system. These signs would help to inform users without the use of language of the presence of an artificial intelligence that may pose risks to netiz ens privacy and security of netiz ens or inhabitants of public spaces. 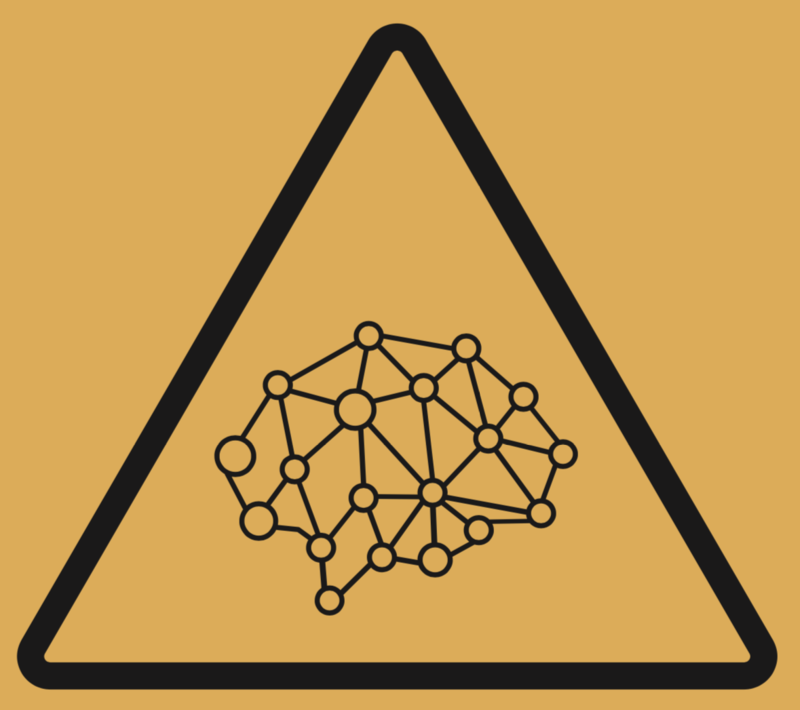 The warning sign consists of a symbol resembling a computerised “brain” embedded in a triangular sign that is in the style of a hazard sign. The signs can be further developed to create a system to opt-in or opt-out of usage of the AI. The sign can be accompanied with two QR codes that users can use, by scanning with a mobil device, to opt-in or opt-out of their data being processed by an AI. The signs are currently in the form of stickers and the project is simultaneously an activism strategy, a piece of design fiction, and a serious suggestion of a case of privacy by design.